The Liberty Hyde Bailey Conservatory collection is made up of more than 600 species from 144 different plant families and 347 genera. 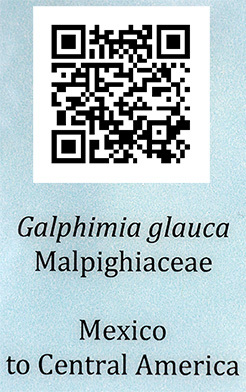 Use your smartphone and a QR scanner app to learn more about the individual plants, families, and collections labeled with QR codes. View information about all the plants at the LHB Curatorial Page.